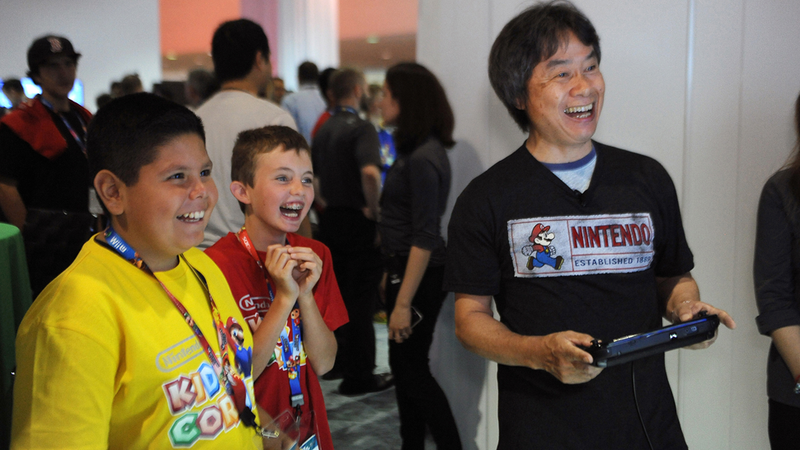 The man who made Mario and Zelda needs you to tell him something, Kotaku. As I was concluding my interview with him at E3 last week, I asked if he had anything else he'd like Kotaku readers to know. Oh, he did. But he also wanted to know something that only you can answer. Shigeru Miyamoto: So certainly, for Kotaku readers, they know there are a lot of different hardware platforms, and I hope that they look at those as necessarily a competition between all the platforms but really that each platform has its own uniqueness. One of the uniquenesses of Wii U [is that] this is a device that's really suited to being connected to the TV in your living room, and it has a lot of very convenient applications that you can use there. We're going to continue to design our games in a way that are suited to play in the living room—whether it's one person playing and everyone enjoying that by watching—but we're also working on a number of additional games that we're designing and releasing next year as well. We hope that everybody is looking forward to that and that we're designing experiences that you can only do on the Wii U GamePad so I hope everyone will support us and look forward to our products. Maybe you can do a poll for Kotaku readers to see which game you want us to make for Wii U, and, if you get a good answer, you can give us a call. Stephen Totilo: What's your phone number? Okay, everyone, it's time to tell Miyamoto which game(s) you want for the Wii U. Chime in below, and if you like someone else's suggestion, click a star on the comment. You know, treat it like a vote!